Does GDP truly reflect a nation’s progress? 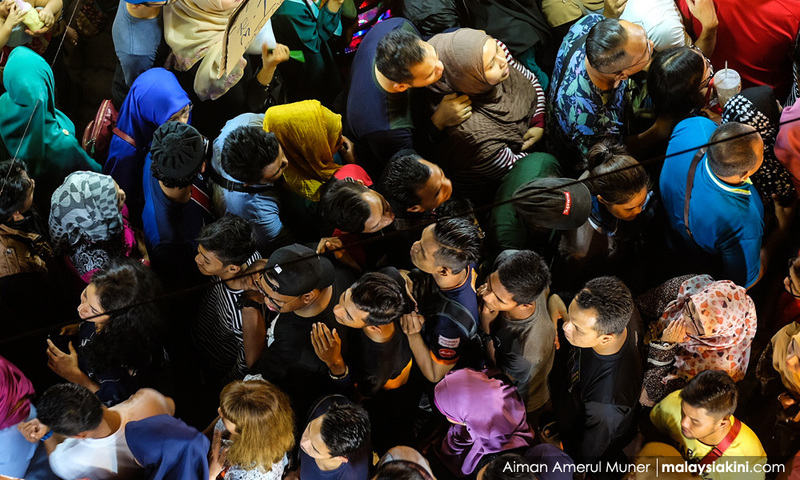 COMMENT | In the eyes of the world today, Malaysia is seen as a relatively affluent upper-middle income nation. According to World Bank projections, we are expected to reach the high-income threshold sometime between 2020 and 2024. Our economy has transformed impressively since post-Independence. From a primary resource-based, agriculture-dominant settings, Malaysia experienced industrial ‘boom and growth’ in the 1970s. The heyday lasted roughly 30 years, followed by a gradual tapering of export-oriented industrialisation, and the tandem rise of the services sector, at the turn of the century. Today, Malaysia’s economy continues to transform and advance, in the wake of digitalisation and accelerated technology adoption rates. 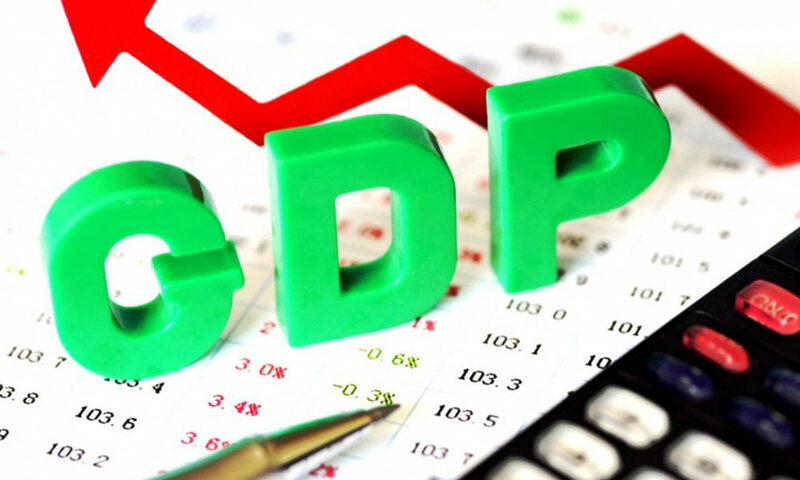 One of the ways that economists, politicians and top-level decision-makers measure our country’s progress is by referring to key national economic indicators, such as Gross Domestic Product (GDP). 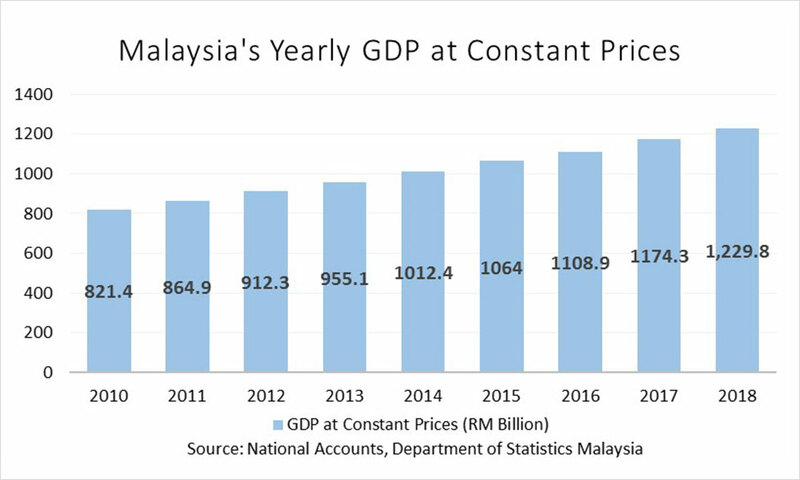 Seen through the lens of GDP, Malaysia’s development story in the past decade has been one of steady progress, and encouraging year-on-year growth, as seen in the chart below. While these are indeed comforting figures, has this economic progress also brought about improvements in other dimensions of our society? To what extent does GDP tell us the full story of socio-economic development? To answer this question, we first need to ask ourselves if GDP is an accurate proxy for human well-being and quality of life. The brief answer to that is, not really. net capital formation (the increase in value of a nation’s total stock of monetised capital goods). In other words, it is a very specific tool designed for the particular purpose of measuring the flow of goods and services produced within the market, and which are publicly traded for money. how much of income produced is being used for consumption, as opposed to investment or savings. Today, many – though not all – governments continue to treat GDP not only as a measure of national economic activity, but also as if it were the default indicator of how well its people are faring. However, this is a short-sighted view. On the one hand, it might be true that increased economic activity spurs creation of more jobs, providing income for people to access basic necessities such as food, clothing and housing, and, over time, opportunities to accumulate capital and so enjoy more material comforts. However, it is also important to recognise that human welfare is not exclusively based on material well-being. 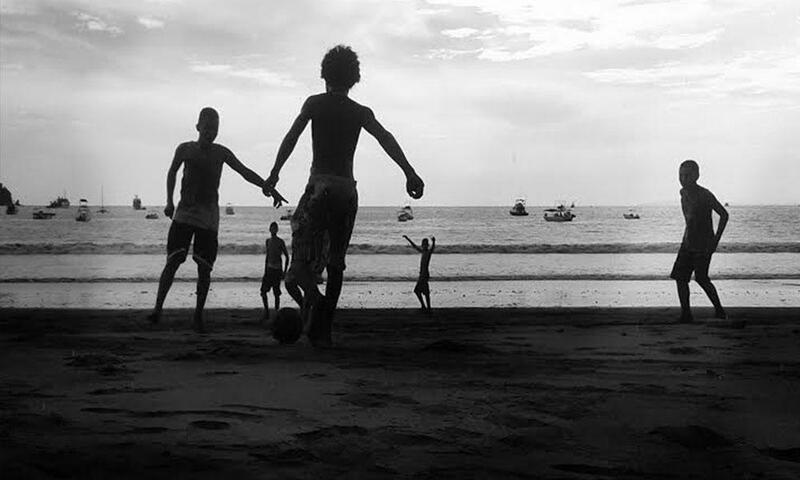 Past a certain level, well-being and happiness is also determined by other social and environmental factors and activities, such as volunteer work, social capital formation within families, the costs of crime and depletion of natural resources. These are all important indicators of economic welfare, societal well-being and quality of life, yet are entirely excluded from GDP measurements. Another major weakness of using GDP as a measure of progress is that it measures how much economic activity there is, but not necessarily who might be benefitting from this economic activity. From 1997 to 2016, the figures show that top 20 percent earners (T20) saw their average household incomes rise from about RM8,000 to RM17,000, while income for the middle 40 percent (M40) increased at a slower pace, only from around RM3,000 to RM7,000. 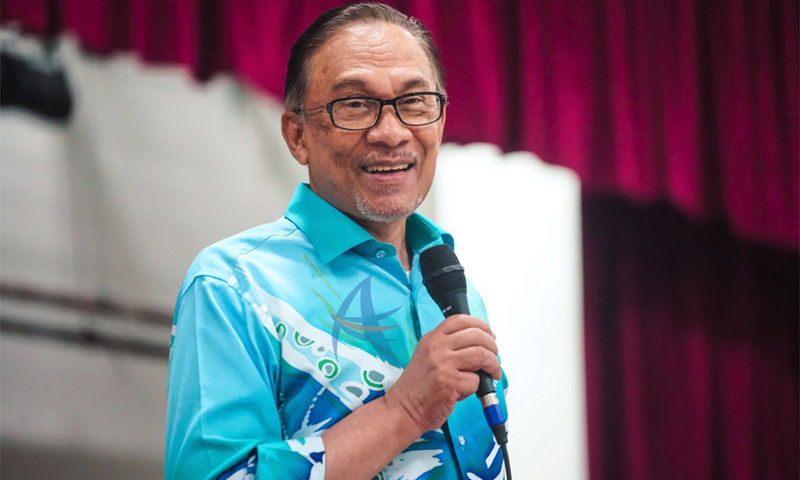 What should be of greatest concern is that, compared to both these groups, the bottom 40 percent (B40) households experienced extremely lagging income growth, increasing from RM1,000 to a mere RM3,000 over two decades. 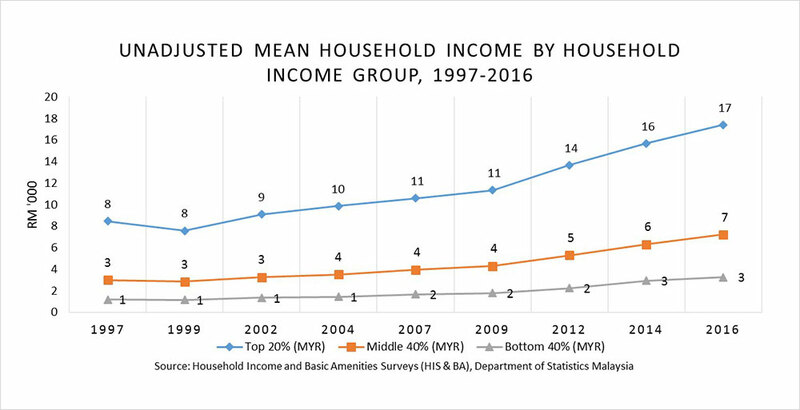 Comparing income differences at both start and end points, T20 and M40 households were initially separated by an absolute earnings gap of RM6,000 in 1997, increasing to RM11,000 in 2016. Meanwhile, the original gap between T20 and B40 was RM8,000, and this stretched to RM15,000 in 2016. In other words, the absolute earnings gap between the top 20 percent earners, versus the middle and bottom 40 percent households, have almost doubled in the past two decades. The staggering, and ever-increasing, gap between richer and poorer households tells us this: although rising GDP figures may tell a shining story of economic growth and progress, not everyone is benefitting from this growth. Closer to reality is that scores of individuals and families have been left behind in the development story. These are Malaysians, who still lack the economic wherewithal to meet their basic living needs, let alone enjoy a good quality of life. Talking about inequality brings us to confront poverty, another major issue that has largely been disguised in national indicators and statistics. The graph above shows official poverty counts sourced from the Department of Statistics, and trends in the reduction of poverty over the years. One glance at these figures, and it would seem as if there is almost no poverty left in Malaysia! According to the data, the official poverty rate has fallen from nearly 50 percent in 1970 to just 0.4 percent in 2016 (the latest year available). This supposedly amounts to one of the lowest poverty rates in the region. Yet, relative poverty (defined as earning less than 60 percent of the median income) has risen by more than 50 percent, to three million households since 1995, based on a 2018 Khazanah Research Institute report on the state of Malaysian households. According to the same report, 40 percent of 7.5 million households nationwide are still considered relatively poor, pointing to a starkly different reality from the rosy picture of virtual poverty eradication depicted in official figures. 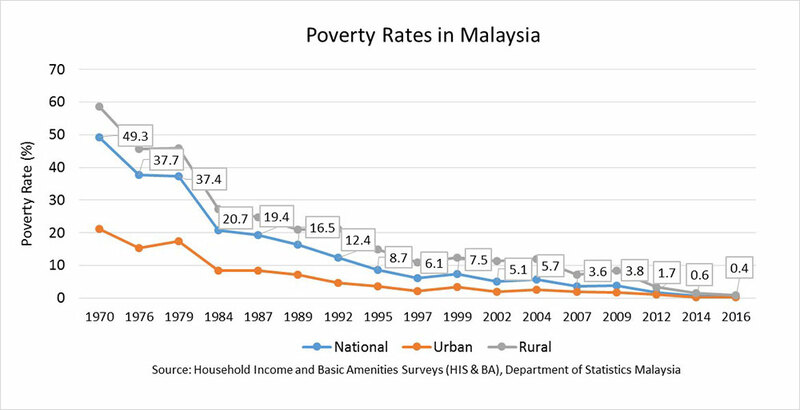 One important reason for this discrepancy lies in the limitations of the Poverty Line Index (PLI), the official indicator used to measure poverty in Malaysia. In simple terms, PLI is an income-based index which calculates the minimum monthly income requirements of households to fulfil basic survival needs, such as food, clothing, shelter and transport. These calculations are used to determine a cut-off threshold for poverty. The problem with measuring poverty using this ‘cost of basic needs’ approach is that it sets the bar at an extremely low threshold, and computes income needed to fulfil only the barest minimum of necessities, instead of realistically representing the standards of what an average family would need to survive. 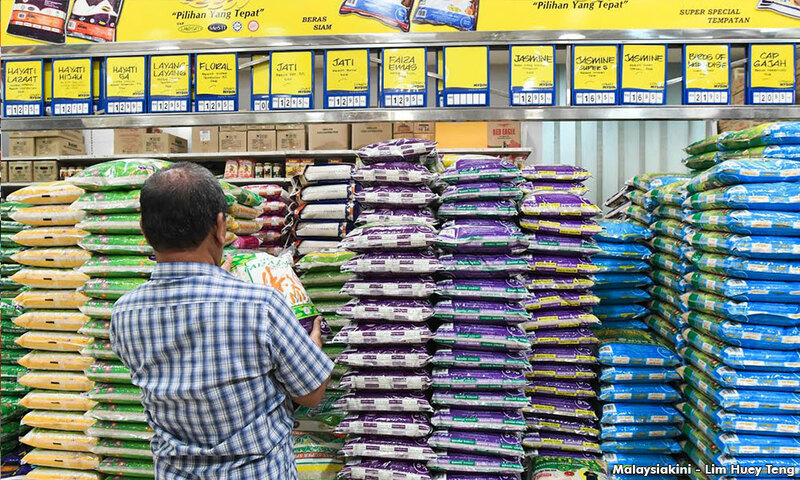 Currently, Malaysia’s national PLI is set at RM920 per household per month, or a little over RM7 per person per day, at average household size. Considering the high level of living costs, not to mention the diversity of needs and demographics of households across states and regions, RM920 clearly is far from what most Malaysian families would realistically need to thrive and live decently, let alone survive. In the government’s Household Income Surveys, PLI is further broken down into regional categories: for Peninsular Malaysia, the cut off is RM 960, whereas for Sabah, it is RM 1,180 and Sarawak, RM 1,020. But even this threshold is too low. In comparison, Japan defines poverty as being the income of a household at or below half of the median household income. This method of estimating poverty “relatively” is the same as that used in the UK and most other OECD (Organisation for Economic Co-operation and Development) nations. Though still not a perfect definition, it is a far more meaningful interpretation compared to an absolute poverty line that is severely out of touch with current needs. To sum up, it is important to question indicators and “grand” statistics that are commonly bandied in Malaysia’s economic debates, and understand what they truly represent. With the GDP example, it is important to remember that economic indicators may measure the size of a country’s economic activity, but not necessarily capture the true state of economic welfare, or society’s quality of life. On the other hand, certain other indicators, like poverty rates and the PLI, might be better “barometers” of societal wellbeing. Yet, as argued above, the current dimensions of measuring poverty in Malaysia do not translate to a meaningful index. Rather, what it does is hide the true extent of poverty in our country. 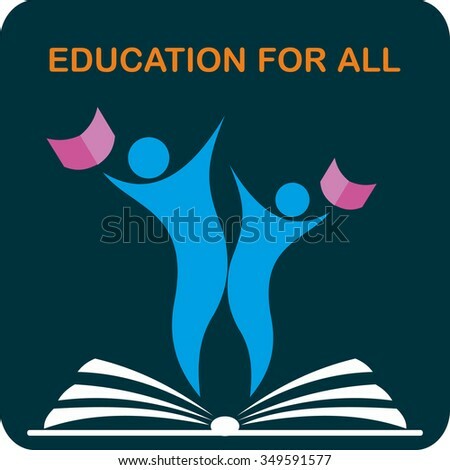 Often times, the power of simple, easy-to-grasp figures can mask the presence of critical issues that are setbacks to human-centred development and well-being: chronic income inequality among different households for instance, or lingering impoverished and vulnerable communities. These matters require critical attention from the authorities and those involved in steering policy decisions. There needs to be more criticism of how certain measures and indicators have been popularised as proxies for national progress, and collective effort to develop better measures, hand-in-hand with a strong and sustained reform process. If we can collectively accept that the overall goal of an economy is to sustainably improve human well-being and quality of life, then we will not be satisfied with maintaining the status quo. 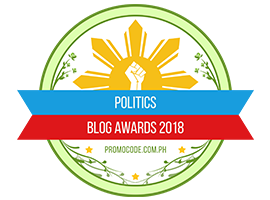 Instead, we will make it a priority to unmask the realities that have been shoved under the carpet, and push for necessary changes, so that there will be more equally balanced development, and a better future for all citizens of this country. LIM SU LIN is a policy analyst with the Penang Institute. A History graduate from Cambridge University, her research interests lie primarily in promoting good mental health as a criterion for public policy, and to carry out research into the social, economic and cultural factors that help to enhance mental well-being and support recovery from mental distress. Posted in Economic Development, Economics, Malaysiakini, Policy Research. Posted in Economic Development, Economic Performance, Economics, Governance, Liberalism and Open Society, Macroeconomics, Project-Syndicate.org, Uncategorized.